Most new healthcare innovations in cancer research are translated to patients through partnerships with the private sector. This makes commercialization critical to OICR’s mission. Biotechnology is an emerging avenue for economic growth for the province. It brings skilled industry jobs to Ontario and provides early access to experimental medicines for those living with cancer. OICR works with its strategic partner FACIT to ensure made-in-Ontario breakthrough technologies have a clear path from the lab to patients, while helping Ontario capture the economic benefits of these innovations through commercialization. FACIT helps Ontario develop a local marketplace that capitalizes on the province’s cancer research investment and expertise. It creates and supports new Ontario-based companies that are well-positioned to attract industry partners and investors. OICR partners with FACIT to fill critical funding and resource gaps, and help remove barriers to commercialization that otherwise prevent novel oncology innovations from reaching their full potential. 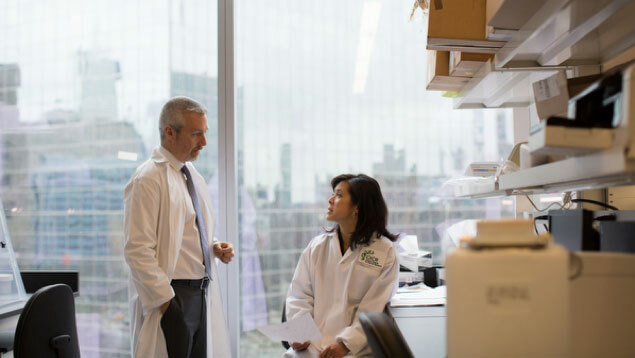 FACIT drives the most promising OICR innovations toward the clinic and marketplace, leveraging a deep understanding of the oncology market, business expertise, as well as a broad network of industry and investor partners. FACIT is involved with OICR’s research at an early stage to develop and position the arising assets for optimal value creation through licensing, private-sector investment, company formation and/or acquisition. As the assets progress, FACIT takes on a greater role in their positioning, offering intellectual property management services, product development expertise, business planning and financing. To date, OICR and FACIT have supported the creation and development of local companies, which have created highly skilled jobs and attracted hundreds of millions of dollars in investment to Ontario. Ontario cancer patients deserve the best care science and innovation can offer. Together, OICR and FACIT are translating ground-breaking research to benefit patients and build Ontario’s new knowledge economy. Learn more about FACIT’s investment and funding opportunities at facit.ca. Read more about OICR | FACIT projects on OICR News.